I hope it reaches us too. That somehow make the plant look 'alive'. We have a plant Alchemilla mollis that really sparkles with rain drops after the rain when the sun comes out. 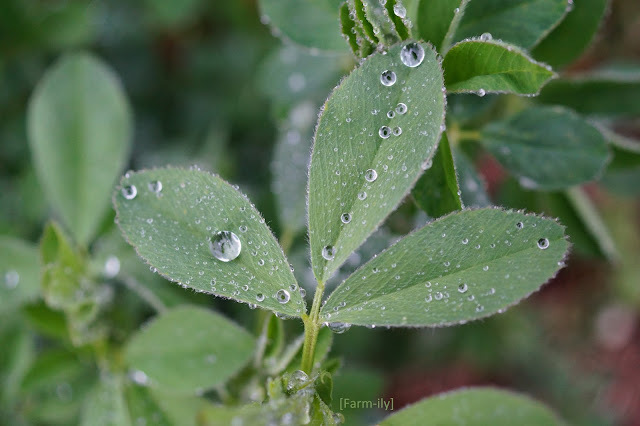 Great capture of the raindrops! They look like sparkling diamonds. I love Elephant's Child's description - rain jewels! That IS nice--- rain jewels. Lovely image. Makes me feel cool just looking at it! A bit of rain would not feel bad here. and we may get it tomorrow.